From flying autos to giant endangered birds! 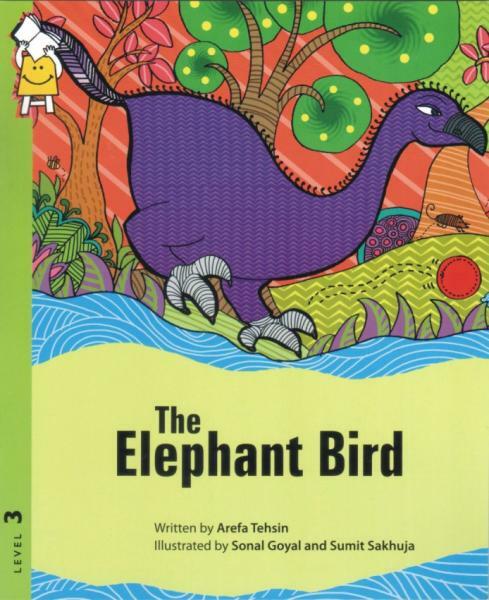 Let’s catch up with the creator of the fantastic elephant bird: Arefa Tehisn. A wild-life enthusiast, traveller and author who also happens to be the honorary Wildlife Warden of Udaipur, Arefa has co-authored several other books for children like The Land of the Setting Sun and Other Nature Tales and Do Tigers drink blood and 13 other mysteries of nature, and is currently writing the fourth book of her popular Iora series for young adults. She is the author of The Elephant Bird published by Pratham Books. What sparked your love for wildlife? My family and the jungles share a long standing relationship. 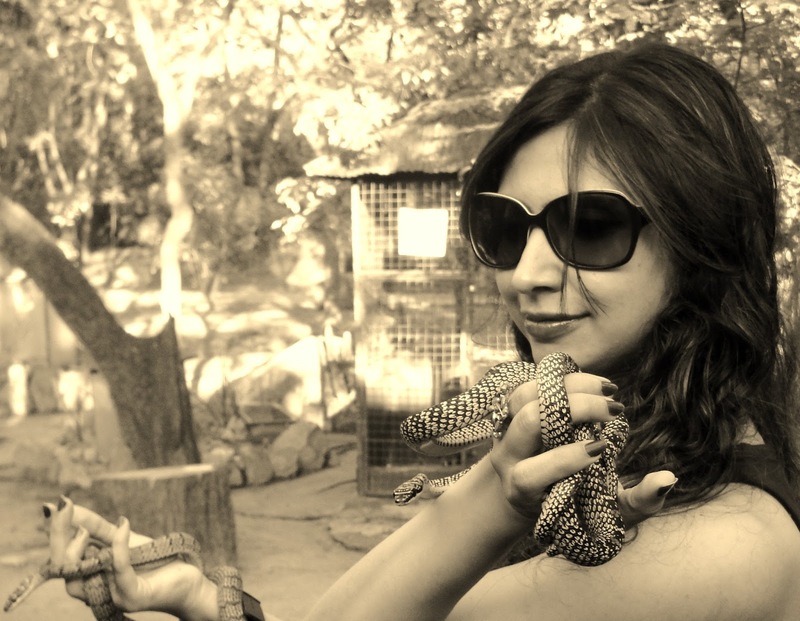 My father, a wildlife protection crusader, brought me close to nature since I was a child. He took me to the forests and inside the cages of leopards, crocodiles, pythons, bears and so on so that I lose the fear of animals. Dad taught me not to fear the dark and the wild. And I ended up loving them both. From where do you draw inspiration for your writing? Who has the time for inspirations? Writing is an itch that I must scratch. You’ve written books for young adults (like the Iora series) and for children (The Elephant Bird and The land of the Setting Sun). How were the experiences different? Is it easier/harder to write for children than it is for adults? I do not think I am writing for children or young adults or adults. I just tell a story. It may be short or long. And telling a story is always delightful. Please share your journey as an author. Where did you start and where do you hope to go? The journey has been more of an off-roading trip in a Maruti van. Full of adventures, fun and a lot of jolts. My writing journey started with writing the essay “The Autobiography of a Dustbin,” which was read and applauded in the parents teachers meeting, in my schooldays.Where do I hope to go? I hope to go on and on and on. Being the limping Munia or Agogwe (dwarves who wrap their long beards around them in a cloth like fashion) Beetle one day, on other day being the foul-mouthed twitter boy Owlus or the half-deaf orang utan Baba. Travel the rainforests one day and the “pit of eternity” the other. Or both on the same day, though it ought to be impossible. What, according to you, makes a good story? Its re-readability. Its familiarity in spite of being unfamiliar. Who/ what most influenced your career as an author? My father, Dr. Raza H. Tehsin, introduced me to the world of words. My partner Aditya pestered me to take my writing seriously and made me discover the magic of words. Travelling, reading, watching movies and day dreaming. Do you have a favorite kind of story? The kind that leaves you chuckling or making faces, leaving an onlooker wonder about your mental state. If you could live in the world of a book, which would you choose? The River of Fire (Aag ka Dariya) by Qurratulain Hyder. Be born and re-born again and live through the history. What was your first reaction to the illustrations in the book with your story? Do you have a favourite spread/page? 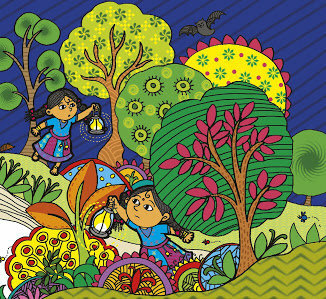 The favourite spread is the one in which Munia is searching through the night jungle alone. What made you choose the historic elephant bird to base a story on? When we talk about extinction, dinosaurs flash in our mind. However, it is estimated that the rate of extinction has increased a thousand times since humans walked the planet. Several fascinating species have become extinct in recent times like the Barbary Lion and the Elephant Bird. I’ve written a series of articles on the recently extinct animals. During a writing workshop conducted by Anushka Ravishankar, I wrote this starting line for a story, “Munia knew that the giant one-feathered elephant bird had not swallowed the horse…” Anuskhka and co-participants like Paro Anand loved the hook and it made me quickly jot down this story. We’ve also shared the book online. Read/share/download the book in English, Hindi,Kannada, Marathi, Telugu, Urdu or Gujarati.